Can I set minimum and maximum input values for measurements? At present, this isn’t possible because (1) a UI for measurement attributes would be a bit tough to do on the current product page without being confusing, and (2) the inputs for measurements are currently text fields, not number inputs. The reason for this was to maintain the widest browser compatibility possible along with supporting the comma-separated dropdown type (though this is something we’re looking to change as the number input is much more widely supported). As a result, to add these attributes, you need to change the input type, then add the attributes for min and max values. This can be fairly straight forward, or quite involved depending on if these values are consistent across products or not. This tutorial requires intermediate PHP skills and familiarity with WordPress development. This is not a supported customization, and we recommend working with a developer from Codeable if you need to modify this for your site. If you need to set a static minimum and maximum value for inputs across all of your products, this is pretty simple to do, and we have a snippet available in our snippets repo that shows you how to do this. However, what if you need to set different input attributes on a per-product basis? We need a way to save that data on the product, and then get it to change these inputs on the frontend. This is a great use-case for a post custom field, which is saved as post meta. We’ll need to play with this data a bit to have it in this form, but it’s probably more user-friendly to set up your products this way. You can set the minimum, maximum, and step to whatever values you’d like. The possible field names would be: mpc_width, mpc_length, mpc_height, mpc_area, mpc_volume, and mpc_weight. The first thing that we’ll run into is, if we use a list in our custom field value, it will be saved exactly as it’s entered — we can’t save an array or any type of data other than a string. when I get the custom field, it will spit that string out exactly. We’ll need to take this string and twist it into data we can use — I want an associative array of the attribute => value. Step 3: now loop through those array values, and break them apart using the ‘=’ sign — part 1 should become the array key, and part 2 should become the value. After a bit of sanitization / sanity checks, we’ll put this into a brand new array for the custom field in the format we want. This gives us our first major piece of the puzzle: how to save the input attributes on a per-product basis in a data format we can use. For each measurement that’s enabled, generate a rule that find that measurement’s input, then adds the right attributes to it. We already assumed we have the product object, so we can keep on assuming that. I’m also going to assume I already have the measurement inputs enabled for the product; if I already have the product, I know I can get them to pass into this helper function. First thing first: we’ll need the product object. We can confirm we’re on a product page, and grab that global. Next, we need the enabled measurements. We’ll confirm the calculator is enabled for the product, then grab the enabled measurements. 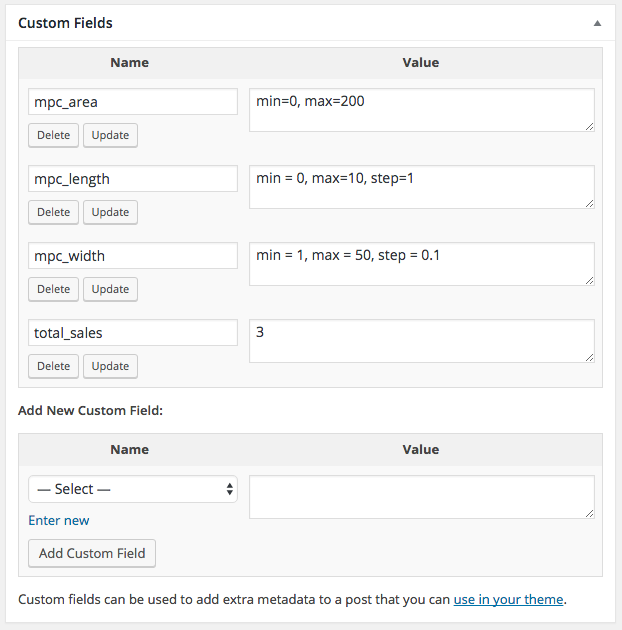 When we’re all said and done, we’ll now have number inputs that use the data in our custom fields to set minimum values, maximum values, and required steps. Want to check out the full code? Here’s the entire gist. 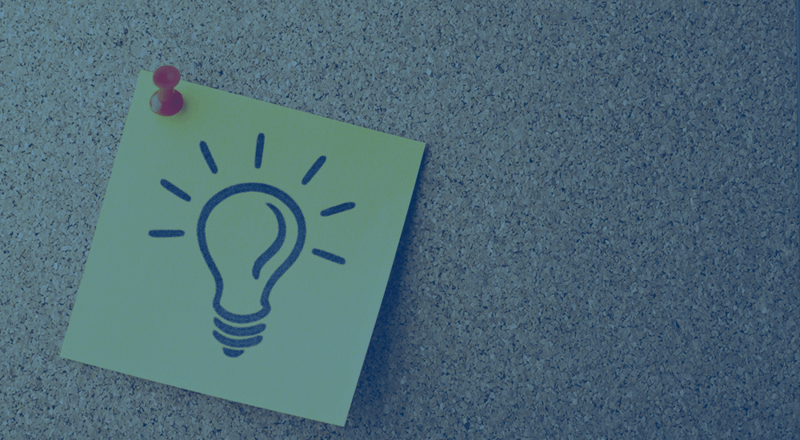 Not sure how to add custom code to your site? Check out our tutorial for help. Need some help taking this code further? We recommend Codeable for small custom projects.
} but it relates only to the value how about the text itself – I hate tables – Any idea? Hey Tarek, this isn’t a change I’ve done yet myself, happy to have our support team take a look though! Do you happen to have a ticket open via the WooCommerce help desk we could pull up? I followed your instructions and set the min and max values for mpc_length and mpc_width for my product. It works if I use the arrow in the field to step up or step down the number and stops once min or max value is reached. Hi there! Are you hitting the “add to cart” button? If you manually enter values, then hit the button to submit this, you should see the notice (it won’t be automatic like using the quantity inputs when manually entered). I’ve added this code again and I’m seeing this working on my end, so not sure what the issue would be unless I can replicate it. 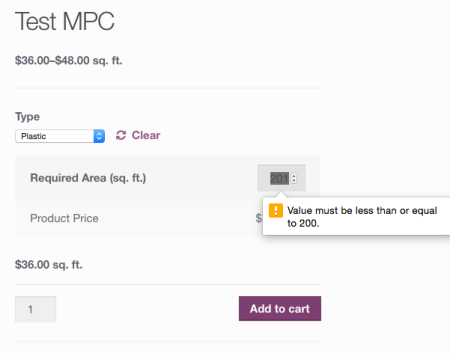 I did not hit the add to cart button – was thinking that the warning will appear if I manually enter higher value than the max limit. is there a way to get rid of the arrows for increase/decrease quantity by steps /I have them even if I did not put anything for step. I’m afraid the message is browser-specific, so it’s not something that’s simple to edit in a way that’s compatible with most browsers. As for the quantity inputs, this tutorial should help. Could you give me a link that the plugin you mentioned which is called “post custom field”. I can’t find it anywhere. Does this plugin fit for wordpress 4.6? Hey William, this is part of WooCommerce core 🙂 If you don’t see custom fields on your product page, go to “Screen options” in the top right and ensure they’re enabled. Many thanks for that. I found it. really great article! It helps me a lot. But i have one problem with the Safari browser. I get no message that there is a limit. In Firefox and Chrome it works fine. Do you have any experience with the Safari Browser? I am having a bit of trouble with the price not updating/calculating correctly when using the Number Input. If I Click into the field to gain focus and then use the keyboard (up and down arrows) to adjust the length, the calculated price updates. Typing into the field directly doesn’t update/calculate the price unless I hit Space Bar afterward (not even tabbing will trigger the change), and if I use the “Increase/Decrease” buttons in the field UI, the price again fails to update. 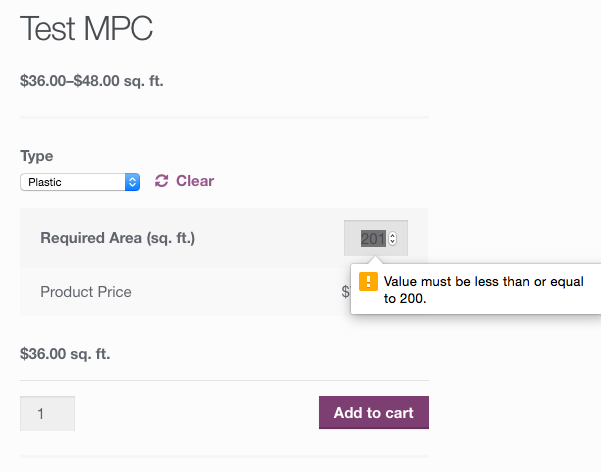 Not only that, if I do Calculate a price (say I put in 1m), but then Change the input with the UI buttons (ie, no change is made to the calculated price, but the length is now 3m), if I “Add-To-Cart”, then the 3m is reflected in the description in the cart line-item and in the “Price” cell, but in the “Total” it is only the price for the 1m!! Are you able to reproduce these findings, or have I stumbled on a bizarre quirk?? To be fair, I am using the more rudimentary version of the script (just adding the same Min/Max values to all products – https://github.com/skyverge/wc-plugins-snippets/commit/0dd55470452a6ff22f3939e2c8b453ea22dace65), But I can see that in principle, it is the same functionality just without the dynamic approach of using Custom Fields, so I am confident that the issue is the same. I’m no JS wizard, but I don’t see any errors being thrown, is there anything there that looks wrong to you? I have implemented this script and it does work rather well, but through further testing, it seems that the ‘steps’, ‘min’ and ‘max’ attributes are not adhered to by a number of mobile browsers (Safari for IOS, Android Browser and Chrome for Android in particular). Just wondering if you have used this (or something similar) in production and if so, whether you used some sort of custom validation JS on such browsers?